We love to read about the Nativity, the true story of Jesus’ birth. In our house, these are the books we treasure the most during Christmas time. This list of Nativity Books for Kids is a great list to start with if you’d like to include the Nativity in your own Christmas celebrations. In this list are some coloring books and even the very same kid-friendly Nativity set we own. 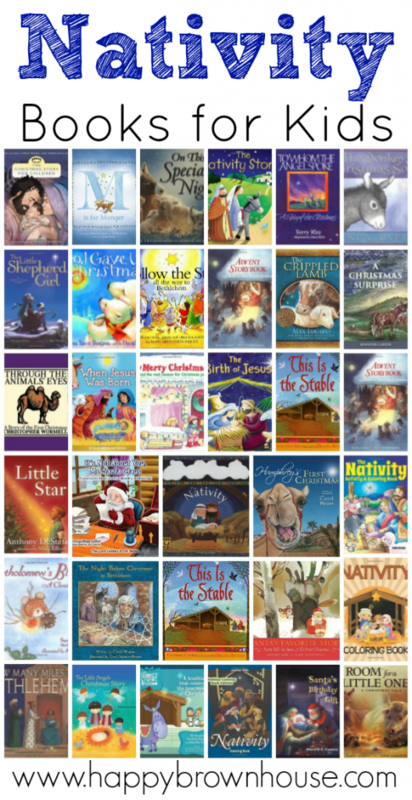 This list of Christmas children’s books includes the traditional telling of Jesus’ birth and then there are others that are fictional stories that include the Nativity. Some of our very favorite Christmas books are on this list. I hope you enjoy them as much as we do. Want more book recommendations? We have a ton of book lists for kids! Need Christmas crafts for kids? Check out The Ultimate Guide to Christmas Crafts for Kids. I love the idea of a nativity colouring book. A great way to really focus and chat about the story together.